The 6X & 9X TRANSPARENT FOLDING MAGNIFIERS feature folding viewer with crystal clear plastic frame which allows the maximum amount of light to reach what you need to see. Both come with acrylic lens, and snap-lock vinyl pouch. 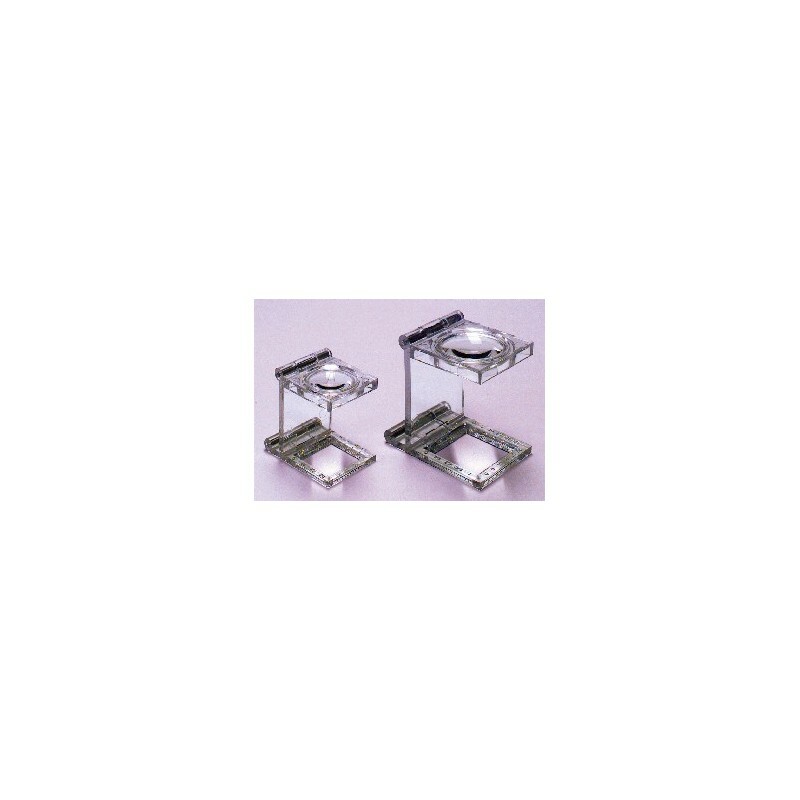 6X TRANSPARENT FOLDING MAGNIFIER: 1-1/8" lens diameter. Viewing area: 1" x 1". Overall size: 2-1/4" x 1-9/16" x 2-1/8". 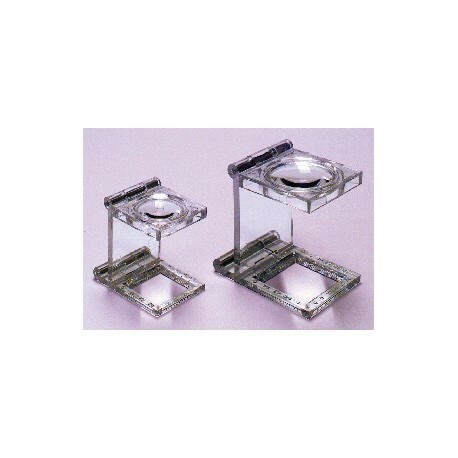 9X TRANSPARENT FOLDING MAGNIFIER: 3/4" lens diameter. Viewing area: 3/4" x 3/4". Overall size: 1-3/4" x 1-3/16" x 1-5/8".